"For indeed, although by this time you ought to be teachers, you need someone to teach you again the first elements of the Words of Elohim. And you have become such as need milk and not solid food. For everyone partaking of milk is inexperienced in the word of righteousness, for he is a babe. But solid food is for the mature whose senses have been trained by practice to discern both good and evil." "Therefore, having left the word of the beginning of the Messiah, let us go on to perfection, not laying again the foundation of repentance from dead works, and of belief toward Elohim, of the teaching of immersions, and of laying on of hands, and of resurrection of the dead, and of everlasting judgment. And this we shall do, if Elohim indeed permits." 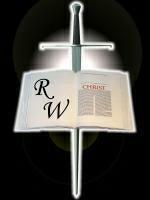 Welcome to the Righteous Warriors web site! and draw people to Him as Master and Saviour.